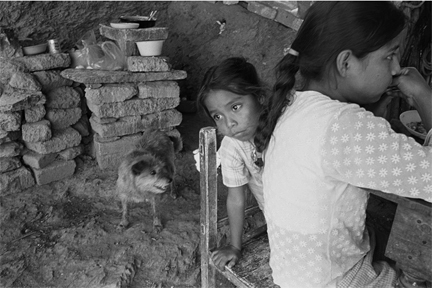 In her series Women of Clay, Marcela Taboada documents the lives of residents from San Miguel Matalan, a small Indian village in the southern state of Oaxaca. 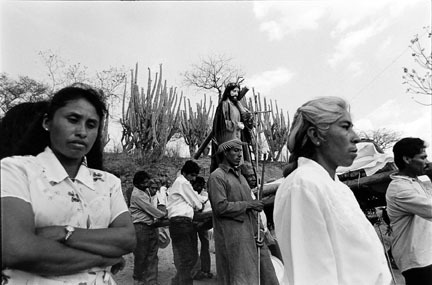 Most of the men from the town left for the United States, where they try to earn money picking fruit in a state such as Florida, leaving the women to take over the traditional male occupations. 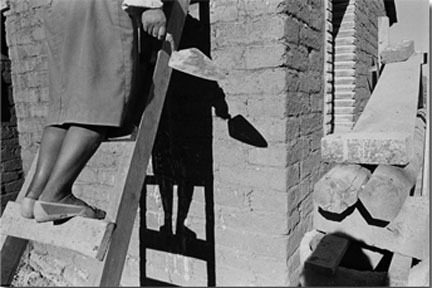 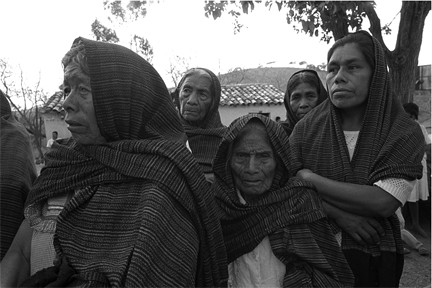 In 1999 Taboada documented the women’s decision to update their ramshackle dwellings by building walls and roofs out of clay with a grant of 17,000 pesos they received from the Vatican. 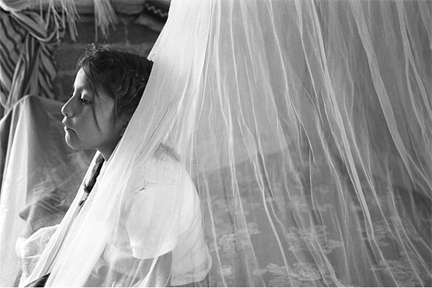 In the image Daisy, 2001, a 9-year old inhabitant of the town enjoys her new home while playing with the mosquito net covering her bed. 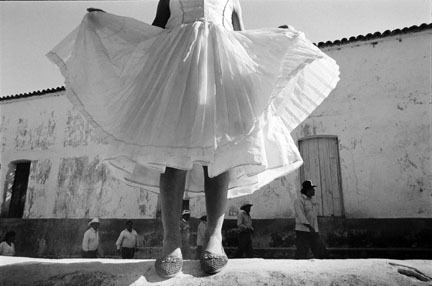 Taboada completed a B.A. 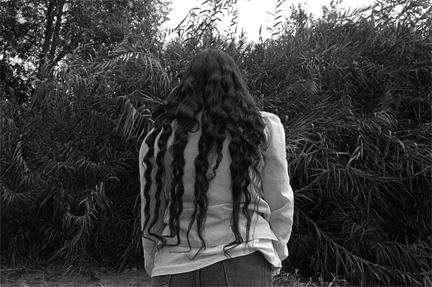 in Graphic Arts and Design from the University of las Americas Puebla in Mexico. 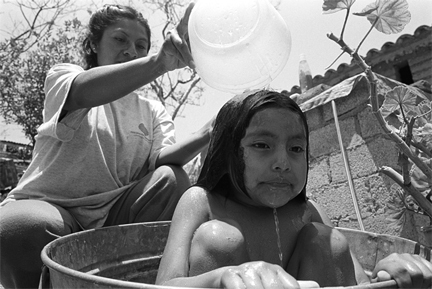 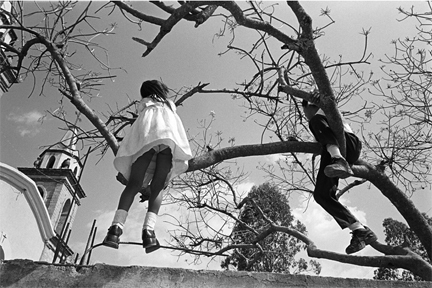 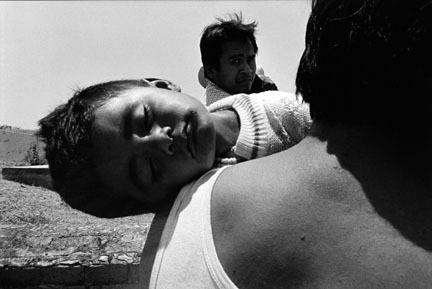 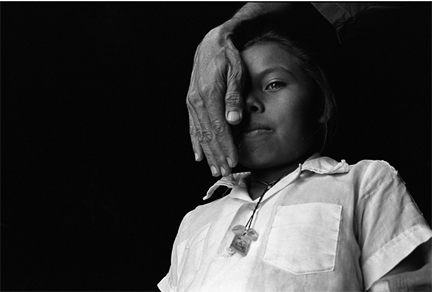 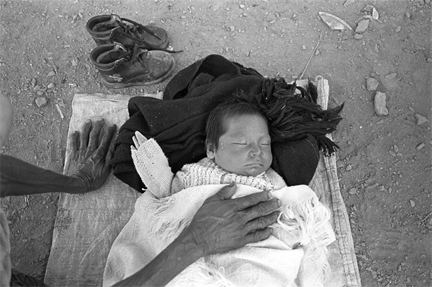 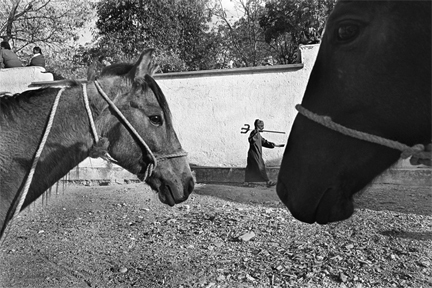 She is a self-taught freelance photographer who has lived in Oaxaca since 1986. 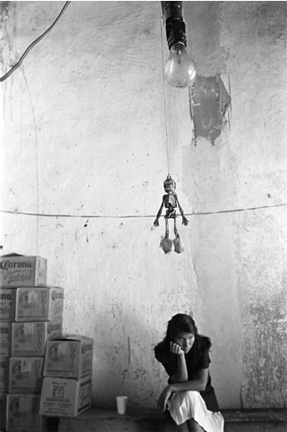 Her work has been published in magazines and newspapers such as Cuartoscuro, México Desconcido, Artes de México, La Jornada, Travesías, Quien, Elle Décor, Hasselblad Forum, GEO Germany, the New York Times, among others. 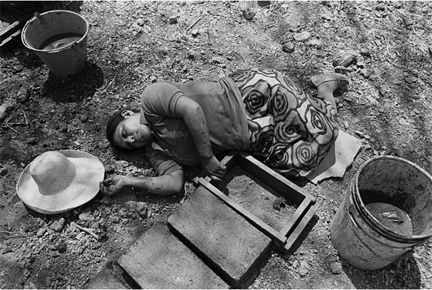 She has participated in individual and group shows in museums and galleries around Mexico, the United States, and Europe. 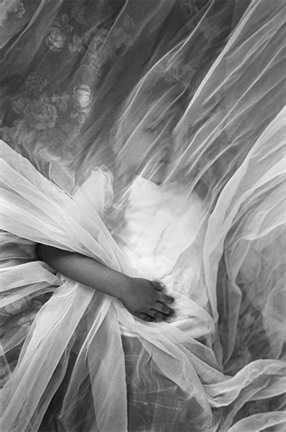 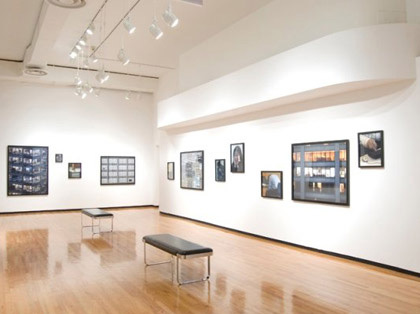 Her work is held in many collections, including The Hasselblad Center, Fotografisk Center de Copenague, Sonoma Museum of Art, and the Throckmorton Fine Art Gallery NY.